I can't even take credit for this salad, but my garden can. And by garden, I mean pots on my balcony. It's these potted plants that gave rise to the easiest potato salad ever, although my lack of decisiveness could also be to blame. 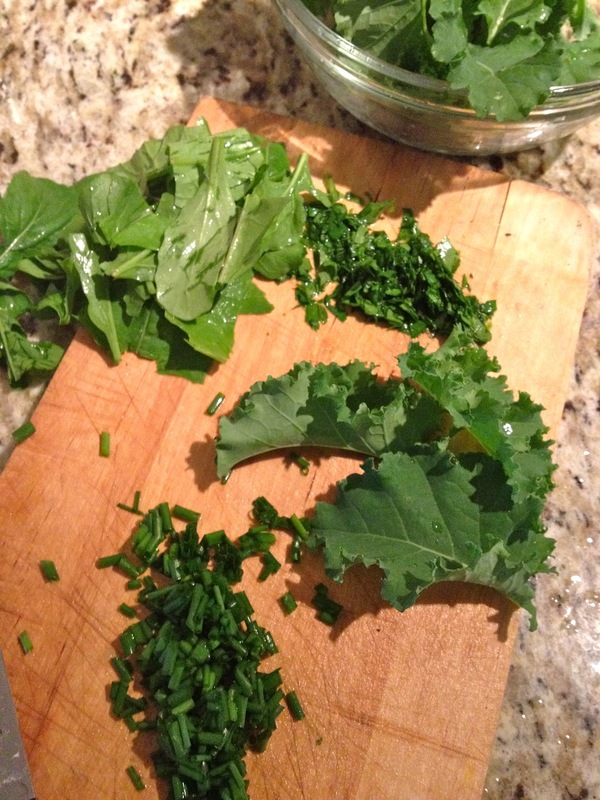 I went out to pick just kale, but then I saw the arugula, and the chives, and the parsley. I couldn't just pick the kale and leave the others. So I didn't. I picked all four and all four went into this salad. Some might think I'm crazy, but I made it work. There's no rules that say you can't eat kale with arugula, or chives with parsley. I think they actually complement each other nicely...and so does my 'garden' for which they came from. 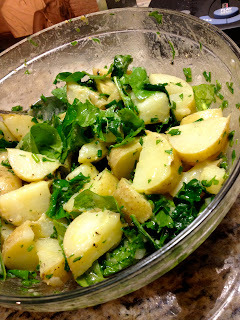 Now it's your turn to get a bowl and throw a bunch of green stuff in it...with potatoes. There's no real no rocket science behind this salad, which is why you won't find measurements below, but more of a 'adjust to your likings' type dish. *start small and work your way up with these, too much of one will determine the overall flavours. Bring a pot of water to a boil. 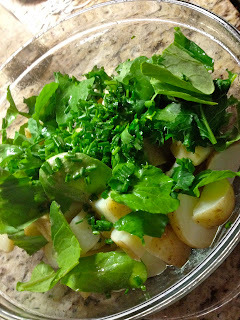 Add cut potatoes once water starts boiling and cook for 10+ minutes (depending on the size of your potatoes). Meanwhile, whip up your dressing. 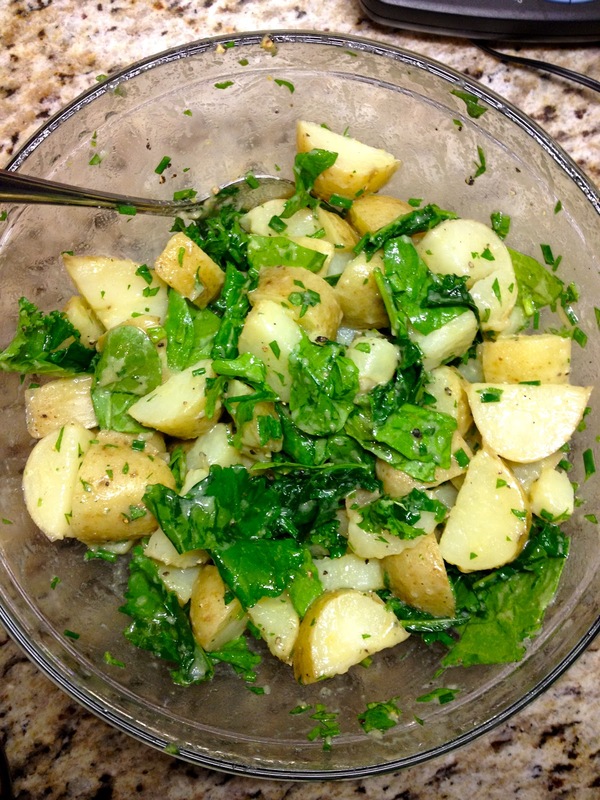 Strain cooked potatoes and mix with kale while hot to wilt the kale (2 minutes). 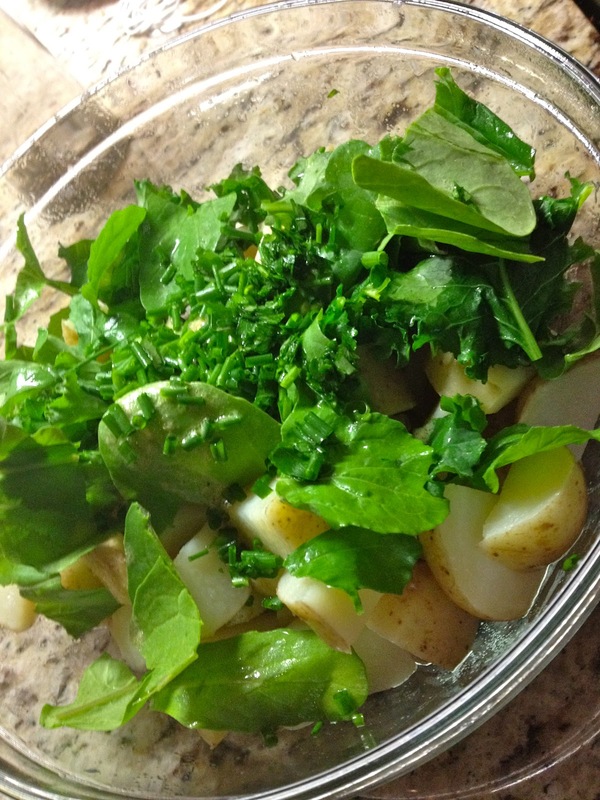 Separate the kale and the potatoes; rinse the potatoes under cold water to prevent them from overcooking, then place in a large bowl. Add your garden greens to the potatoes, along with your dressing. The only sad part about making an 'everything from your garden' salad is that you no longer have everything from your garden for another one. I guess it either means I didn't buy enough stuff for my garden or that I just need to buy more. I guess we'll see how quickly my little garden can regenerate itself and then go from there! I love my regular green salads, but sometimes when they get boring, I like to switch to nice potato or grain salads. Want to do a fun June challenge and do you like salads? Be part of the #saladaday challenge this month. 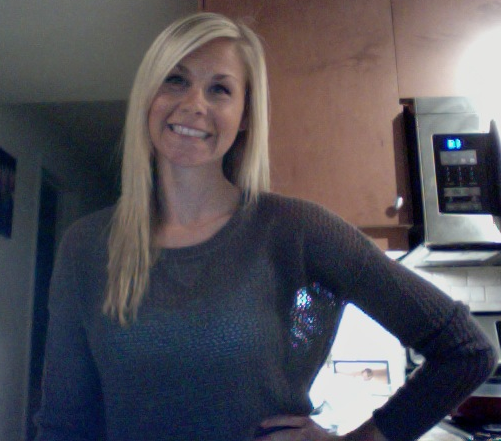 Check out Angela's post on it (it's all her idea!) 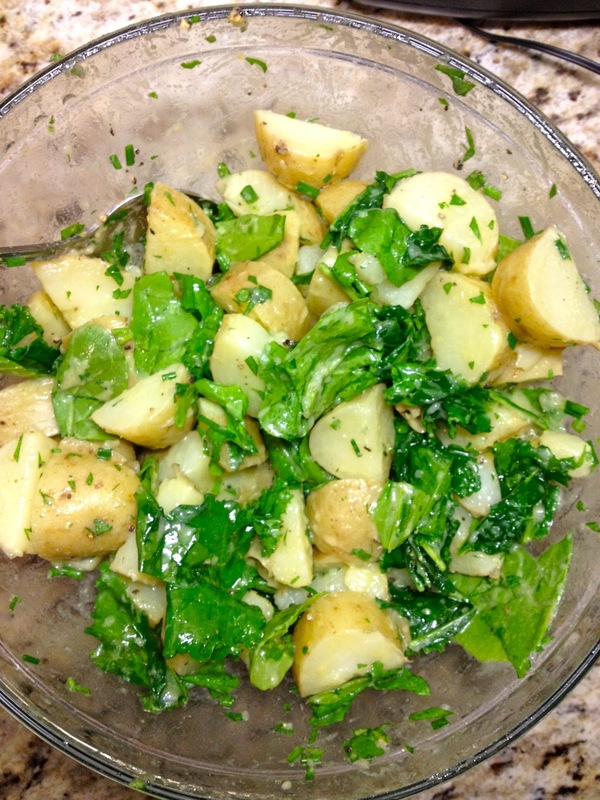 for more details and check out some of her delicious salads for inspiration!! You know you wanna!